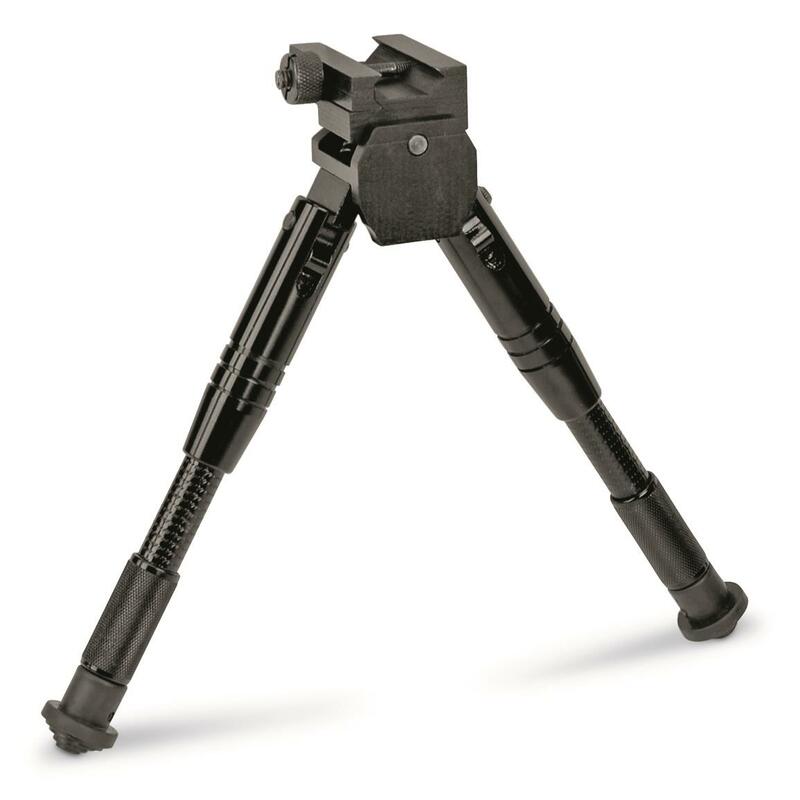 Give shakes the boot with this Caldwell AR Bipod. 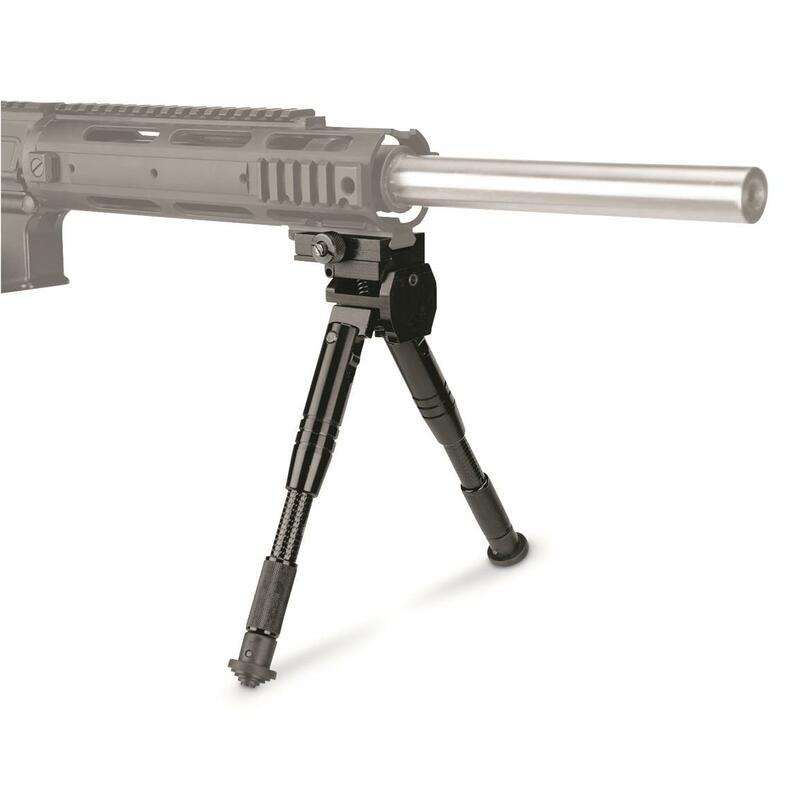 Its quick attach system securely attaches to any Picatinny rail, giving you a stable platform for taking an accurate shot. 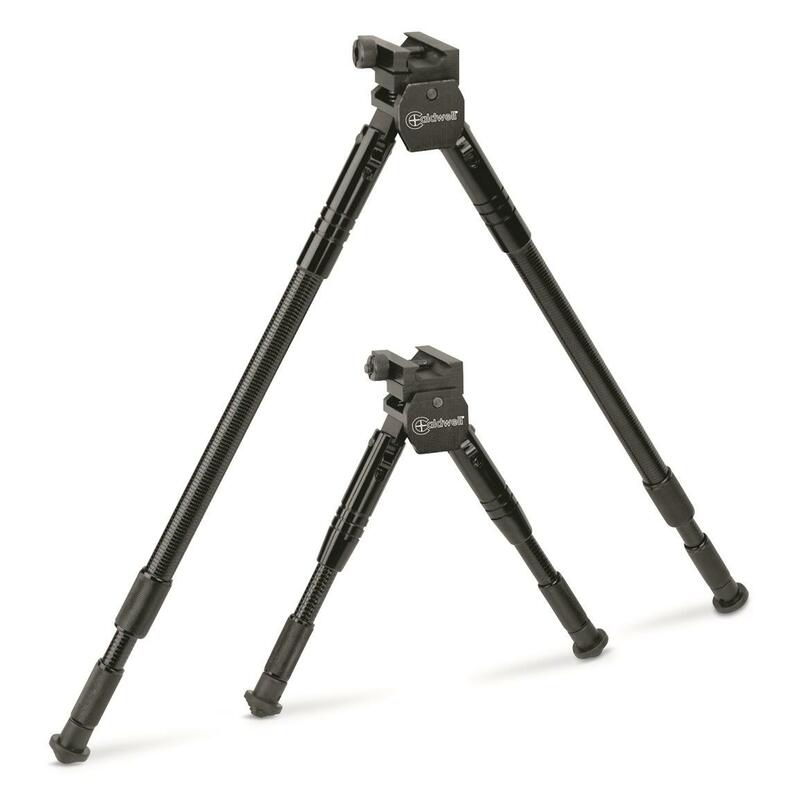 It features built-in systems for both pivot and cant so you'll never have to worry about repositioning. 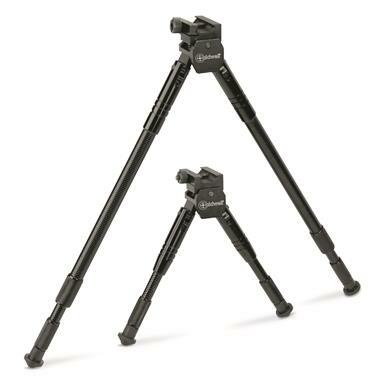 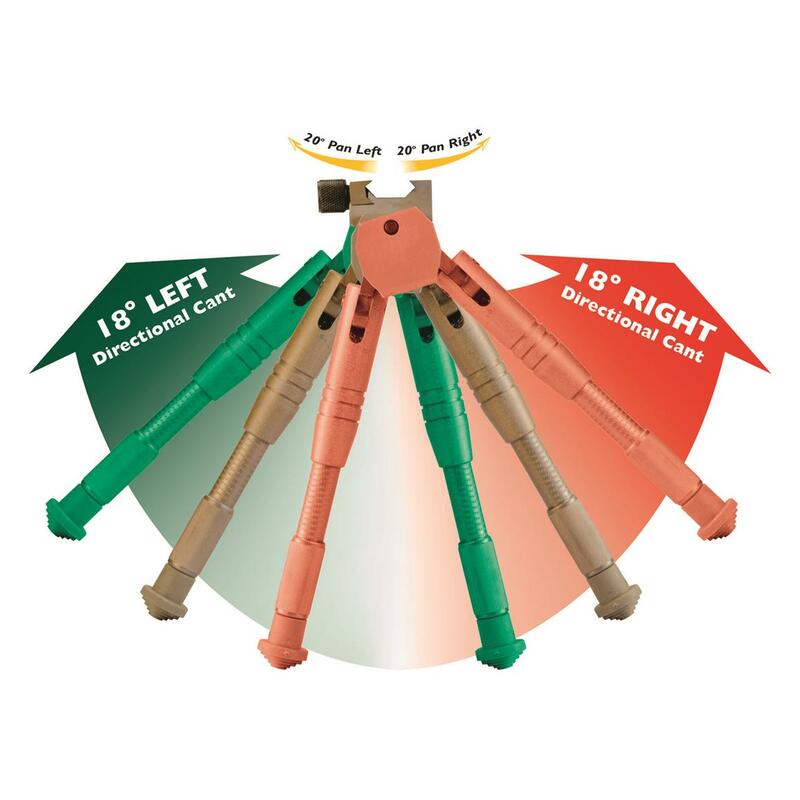 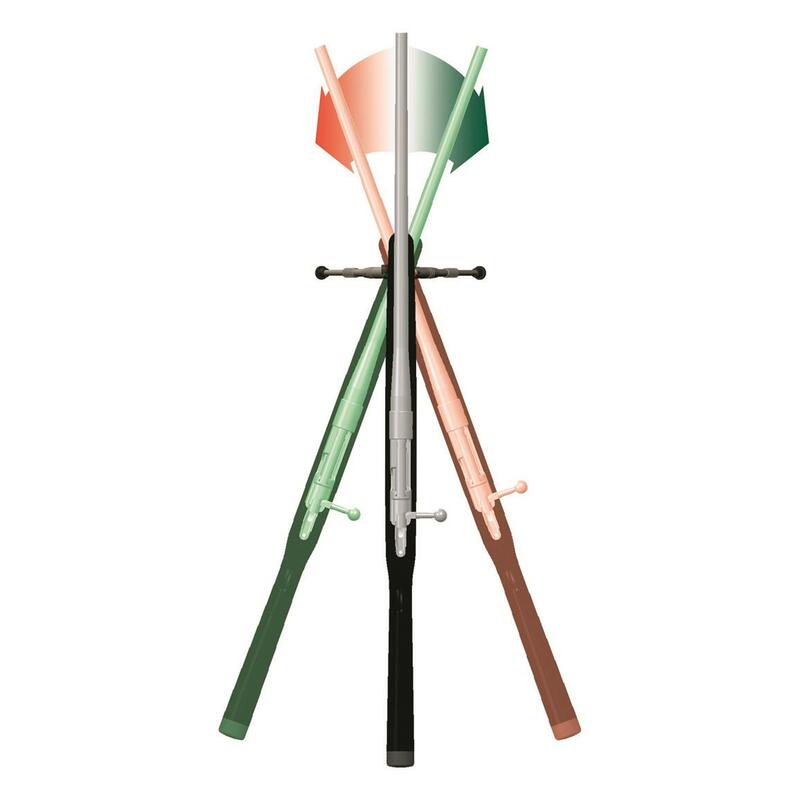 Plus, its adjustable leg mechanism delivers secure, no-wobble positioning on any terrain. 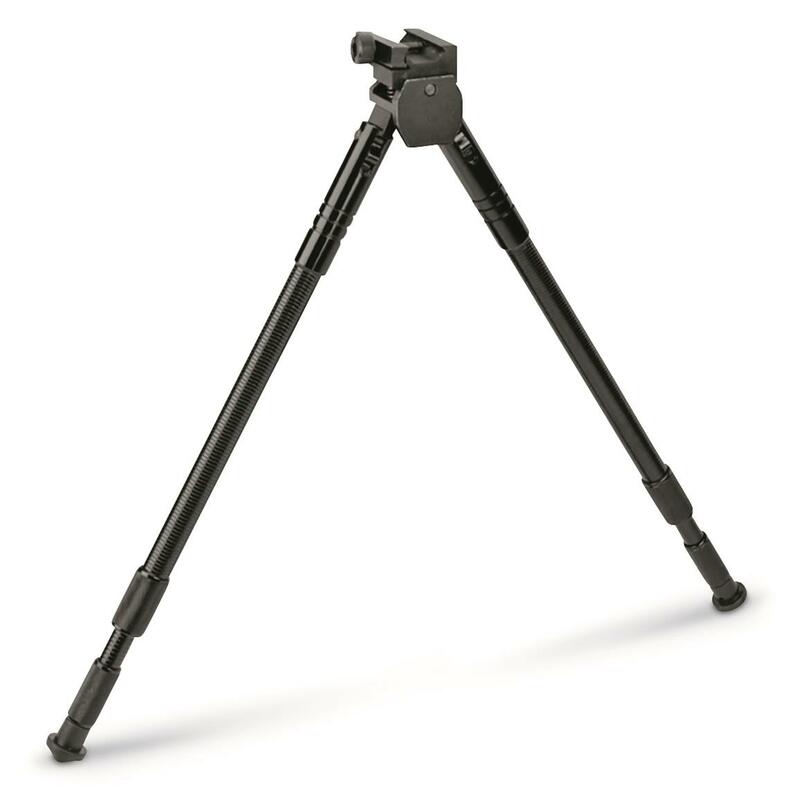 Prone model adjusts from 7" - 9"h.
Sitting model adjusts from 14.5" - 30.5"h.
Height Adjustment (Prone Model): 7" - 9"
Height Adjustment (Sitting Model): 14.5" - 30.5"